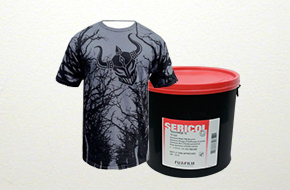 - Texcharge TC is a discharge ink system which is simple and easy to use and produces prints of unrivaled brightness and softness of handle on suitability dyed dark fabrics. - Super soft and bright colours. - Extremely good wet-on-wet printability and screen stability.